Photographs get faded, torn, and cracked over the years. 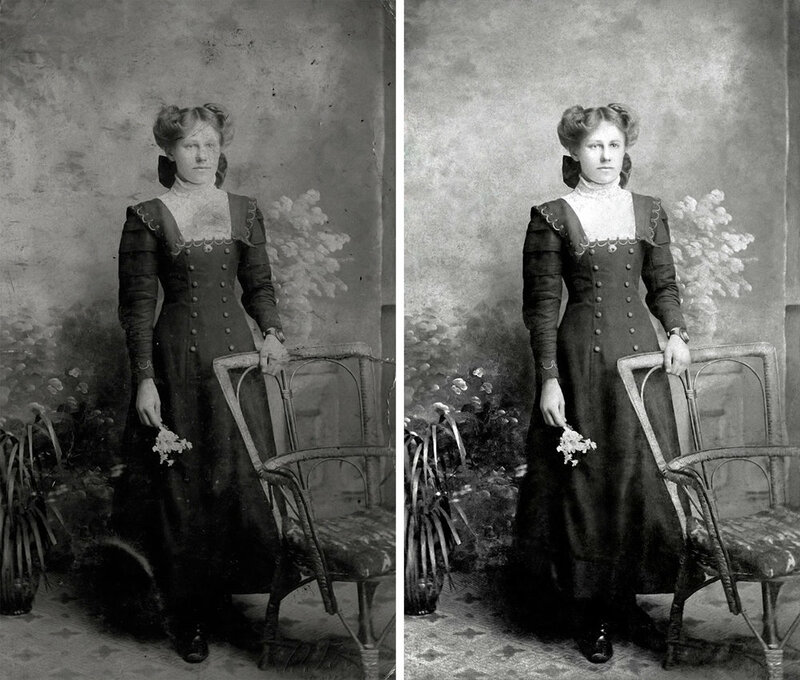 Let us restore your photos to their former glory. We understand that each order is unique in its own way. Some orders take longer, while others are much quicker. We make sure to reach an agreement on the necessary work and an estimate on pricing before beginning your order. Contact us or visit us in-store if you have any questions!